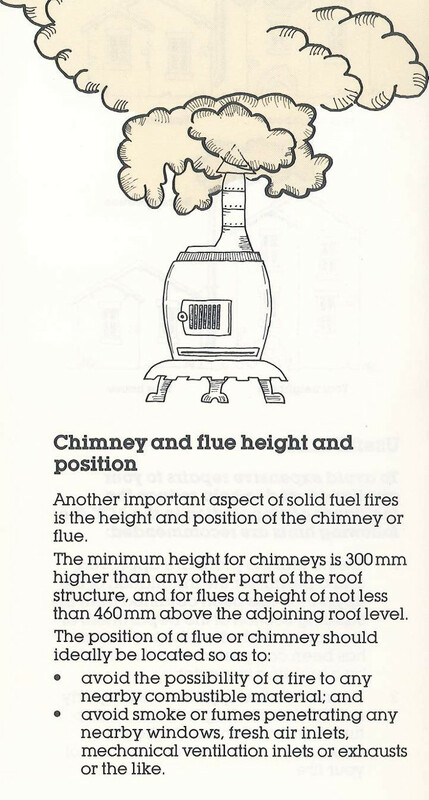 As winter approaches Canberrans thoughts turn towards economical ways to heat their homes. 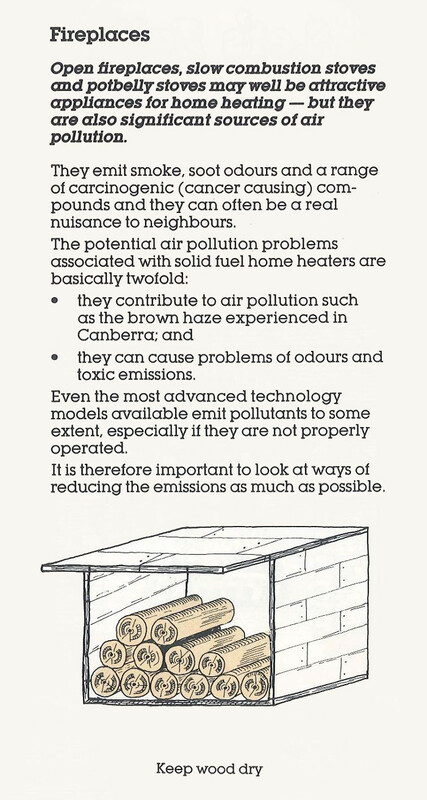 Wood heaters have long been considered one of the cheapest ways to heat homes however this comes with significant environmental impact. 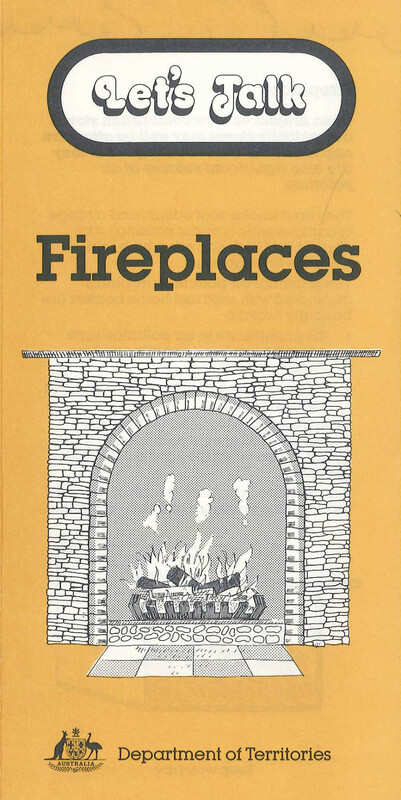 Highlighting these environmental issues is ArchivesACT's Find of the Month, the brochure 'Let's Talk Fireplaces' published by the Department of Territories in 1986. 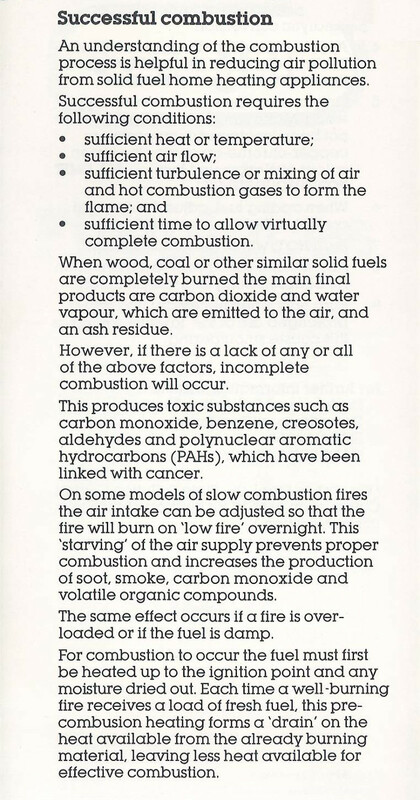 As well as identifying potential air pollution problems and toxic substances produced by wood heaters, the brochure also provide useful hints in how to reduce these problems. 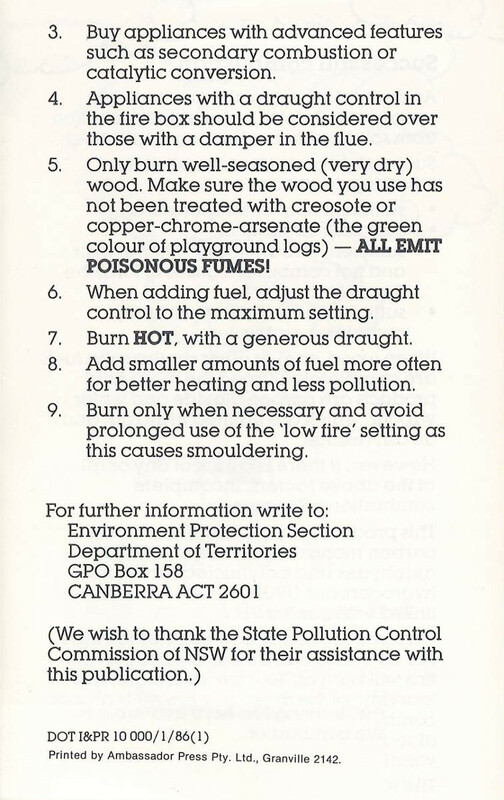 The 2014 Wood Heater Replacement Program runs from 1 March 2014 and closes on 31 December 2014.